When we arrived and took a drive downtown, I was struck by how beautiful Charleston was. It was full of colonial style houses, humid temperatures and live oaks. The relaxed pace of the south keeps me coming back to Savannah, Georgia, and it was fantastic to find another city that ticked all my boxes. Aside from its Southern hospitality, Charleston is infamous as the location for the breakout of the Civil War. The conflict started when South Carolina seceded from the Union and attacked a ship in Charleston harbour. Shortly after, they opened fire on Union-controlled Fort Sumter and the rest is history. Quite literally. My husband, enjoying a famous Charleston sunset…possibly a little too much. Charleston is often referred to as the Holy City. This is in reference to the sheer number of churches and places of worship it has. This includes the Emanuel African Methodist Church – the oldest African Methodist Episcopal church in the South. Sadly, it was this church that was the target of a white supremacist gunman’s attack in June of 2015. The gunman killed 8 black parishioners and their Pastor during an evening Bible study group. The American opera ‘Porgy and Bess’ is based on the book ‘Porgy’ by novelist Du Bose. He, along with composers, George and Ira Gershwin produced the opera, set in Charleston. Porgy is a disabled African American beggar who falls for drug-addicted, Bess. The people of Charleston are fiercely proud of their association with ‘Porgy and Bess’ and there are themed walking tours around the city. Charleston is also where jazz trumpeter extraordinaire, Louis Armstrong, first came to the wider public’s attention. Charleston is crammed with history. Some good; some not so good. However, it’s not a city to shy away from its past. As well as the buildings and the people, the mixtures of African, British, French and American influence on the local cuisine can’t be missed. You can’t go far in Charleston without indulging in some seriously good food. This is at its best at the City Market. The Market is open daily and houses a fantastic range of vendors, including food and drink, shoes, hats, glass, and jewellery. The market is also opened on a Friday and Saturday evening, and the atmosphere is wonderful. 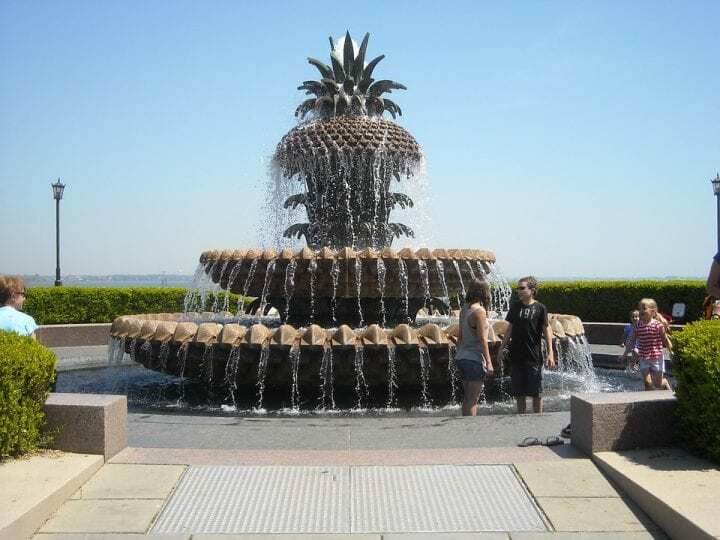 If you want to experience a true taste of Charleston, you can’t go far wrong with a trip here. US Custom House, in the historic district, dates back to 1853. The construction of the building was stopped just before the Civil War and started again afterwards. It now houses a range of government agencies. It’s a beautifully designed building, with imposing pillars and a lovely staircase, often used as seating for special events. Fort Sumter, where the American Civil War kicked off, is now a major visitor attraction. The Fort is managed by the US National Park Service. Entrance is free but, as it’s located on an island, it’s only accessible by boat. Swimming is not advised, obviously… Not just because the water is cold but also in case someone shoots you thinking you’re attempting a coup. Due to transport restrictions, planning ahead is key. Regular boats are available throughout the year but in Summer, there’s also a Sunset tour. Boone Hall, like neighbouring Magnolia, is a Southern plantation. It brings alive the history of slavery and gives an insight into the ‘Gullah’ language and culture. The plantation includes a butterfly pavilion, house, garden, and a self-guided tour of Black History in America. Nathaniel Russell House Museum is an antebellum house located in downtown Charleston. It was previously the family home of Nathaniel Russell, a cotton and rice merchant. The house tells the story of the Russell family and the slaves that served them. Rainbow Row (pictured above) is a row rainbow coloured houses (who knew?) The 13 houses make up the longest continuous row of Georgian houses in America. They’re a major city attraction and are included in most walking tours. It’s easy to see why they’re so popular when you spot their colourful facades. The Charleston Museum is a great spot for learning about the history of the city. Exhibits cover the Civil War, the slave trade and the American Revolution, amongst other topics The Museum also offers joint entry to two other museums in the city; the Heyward-Washington and Joseph Manigault. Both historic homes tell stories of wealthy Charleston families and the slaves that served them. Charleston, aside from its history, is a thoroughly relaxing and welcoming city I can’t wait to go back and see what else it has to offer. Have you visited Charleston? What are your favourite sights?